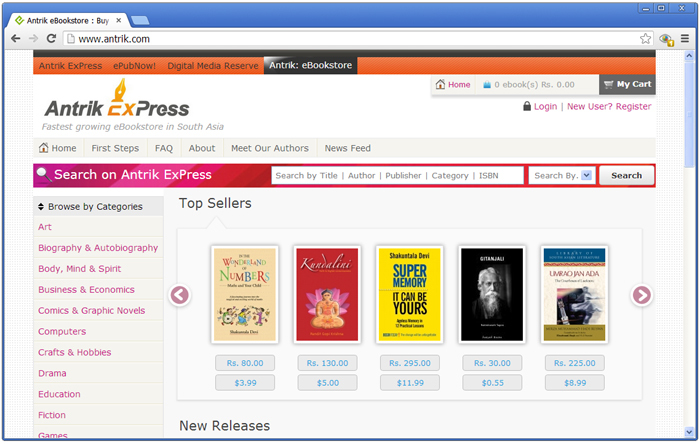 We can either search for the ebook, or browse by categories provided on left side. 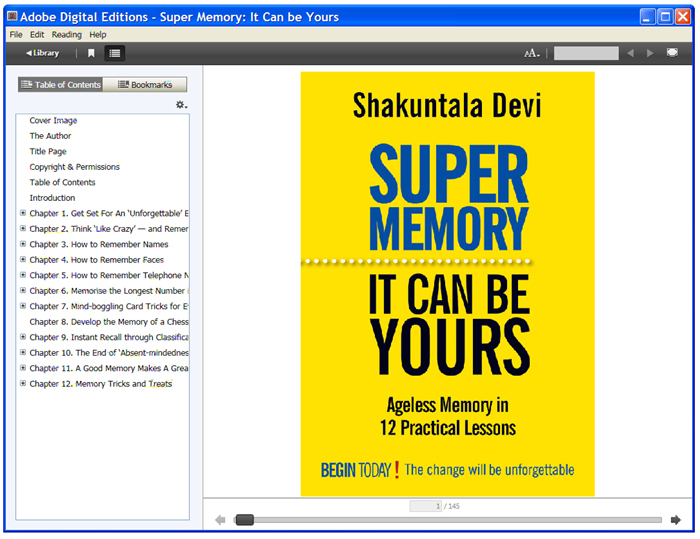 For now let us choose "Super Memory: It Can be Yours - By Shakuntala Devi"
Click on the thumbnail of "Super Memory: It Can be Yours - By Shakuntala Devi"
eBook Details - Super Memory: It Can be Yours - By Shakuntala Devi"
eBook details page opened! Let us see what it says. It shows us ebook cover page as thumbnail, ebook details like author name, publisher name, publishing details, ISBN, language, ebook format type, subject categories, descriptions, reviews, about the author and other ebook related details. You can click on "+ Add to Cart" button to start the purchase process. 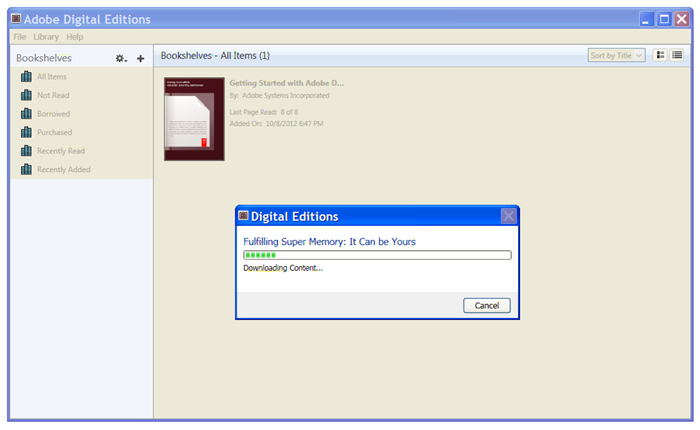 You must select an ebook format and add to your shopping cart. Now you can proceed to checkout or click on continue more shopping. 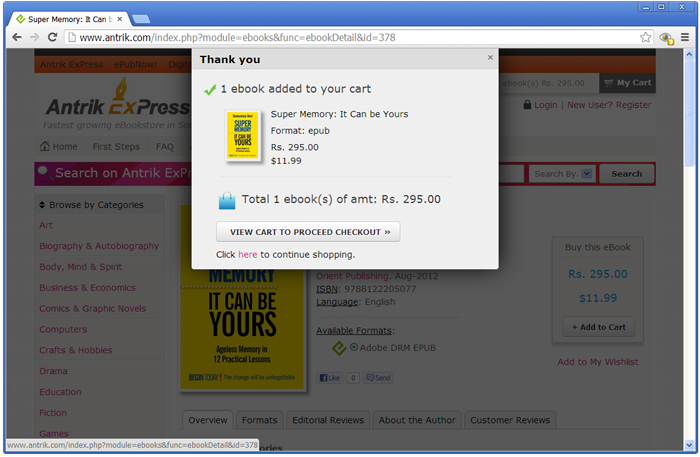 Click on "View Cart to Proceed Checkout" button. You have a choice to continue shopping or go to the Secure Checkout. If you have not logged-in yet, you will be taken to a login page. If you have not created a User Account, please make one by clicking at the "I am a new customer" option available on login page. After you have been logged-in, you will be shown an invoice for your purchase. Press "Confirm & Pay Online Now" button. You will then be taken to a payment gateway for making a payment as per your payment mode. 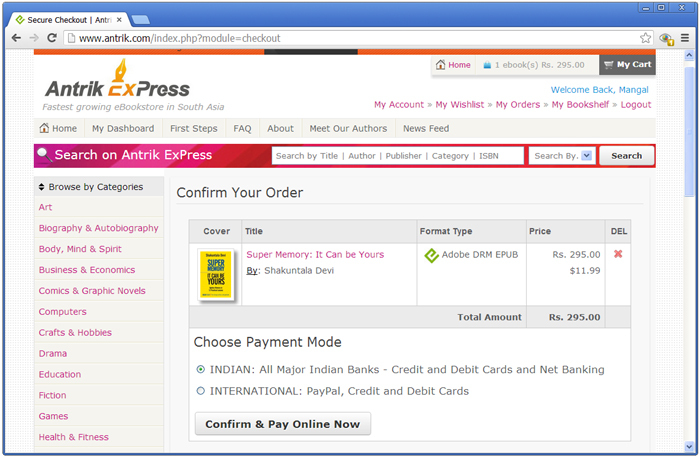 Once the payment has been successful, you will be automatically redirected to antrik.com ebooks download page and ebooks also added to your bookshelf for future downloads. 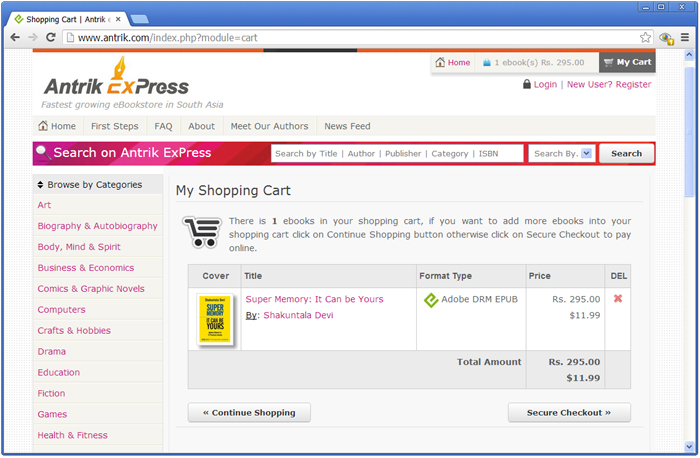 You can download your purchased ebooks anytime in future by signing-in to antrik.com website and going to "My Bookshelf" link available in the top right coroner of the website. 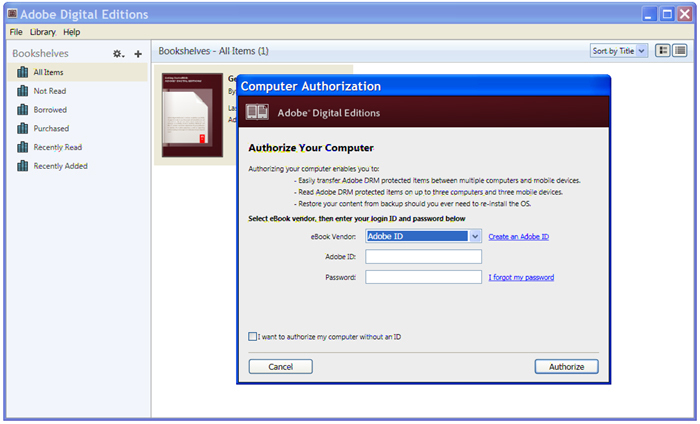 Now, if you are downloading ebooks on your laptop/ PC, you need to download/install Adobe Digital Editions eReader Software. 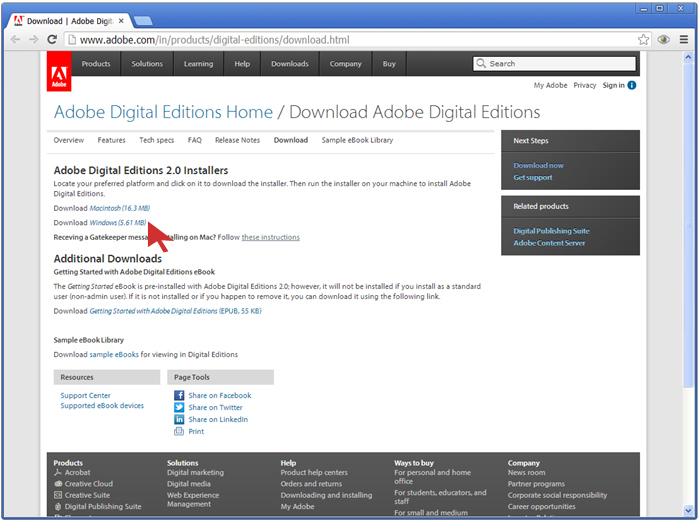 Let us click on that Here link to download Adobe Digital Edition (Latest Version 2.0). 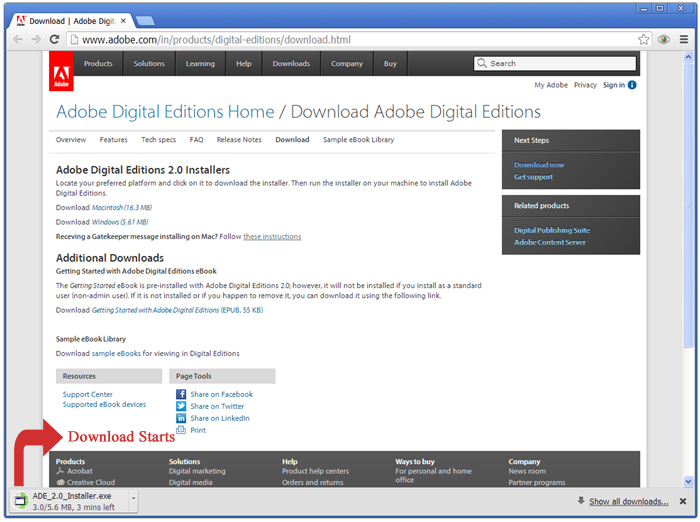 Now click on Download Windows (5.61 MB) link. 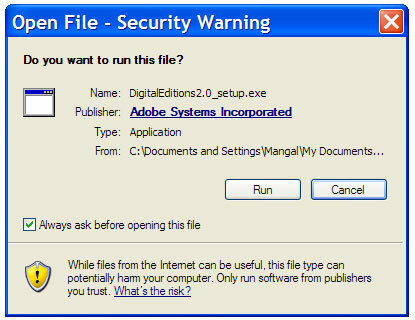 ADE_2.0_installer.exe file is downloaded. 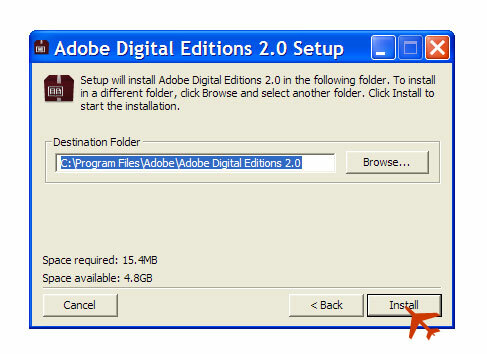 Double click on "ADE_2.0_Installer.exe" to start installation of Adobe Digital Edition. 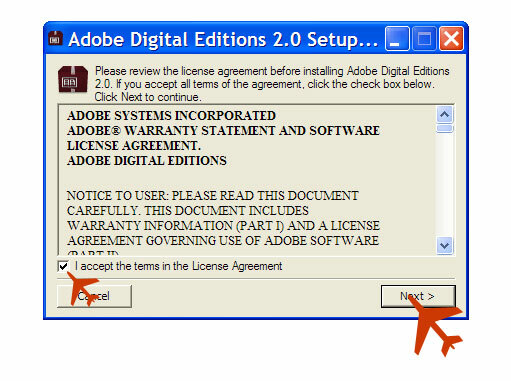 Check "I Accept" and click on Next button. 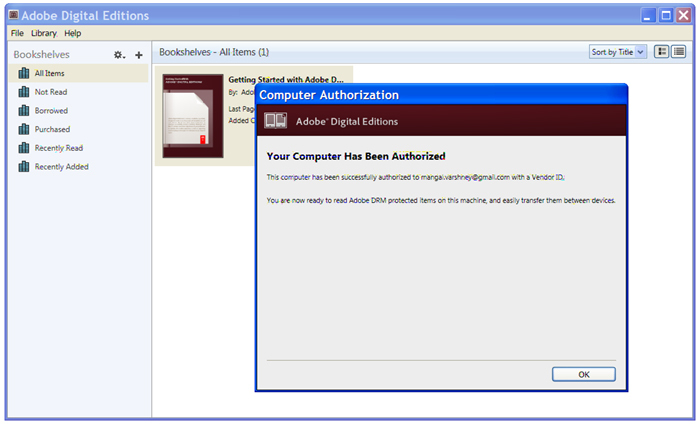 Click Help drop down menu, and select Authorize Computer. This is similar to a new email account opening. Just enter details in all compulsory fields. 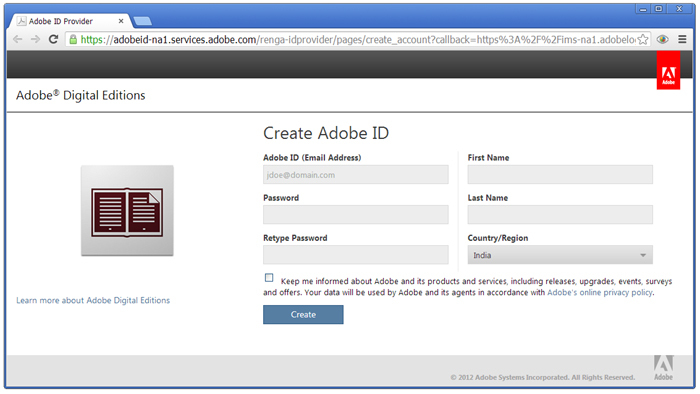 (There are six fields) and click on Create button. 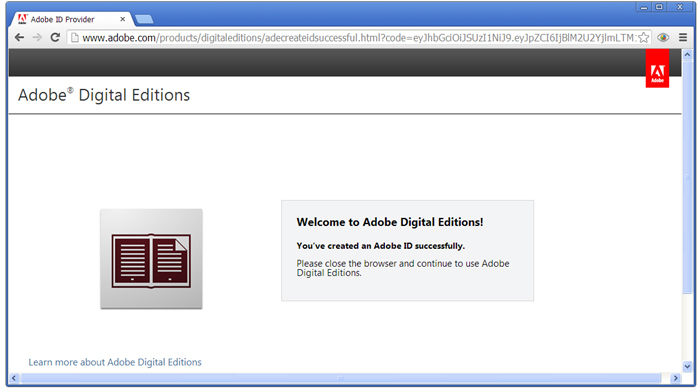 Now let us go back to our digital edition and enter Adobe email id, password and click on Authorize button. Done, click on OK button. 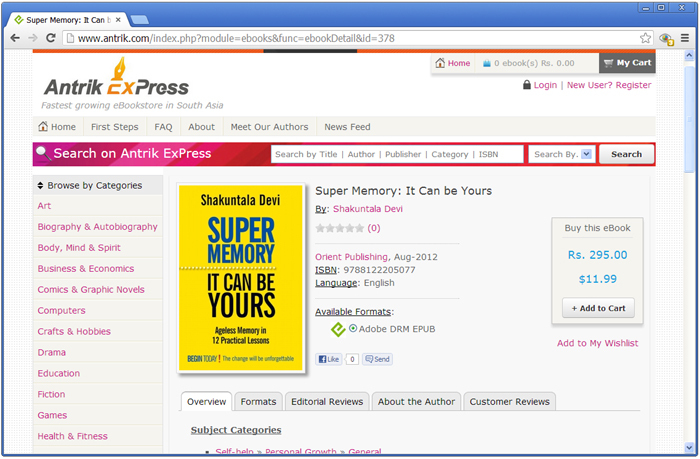 Let us go back to My Bookshelf page on antrik.com. 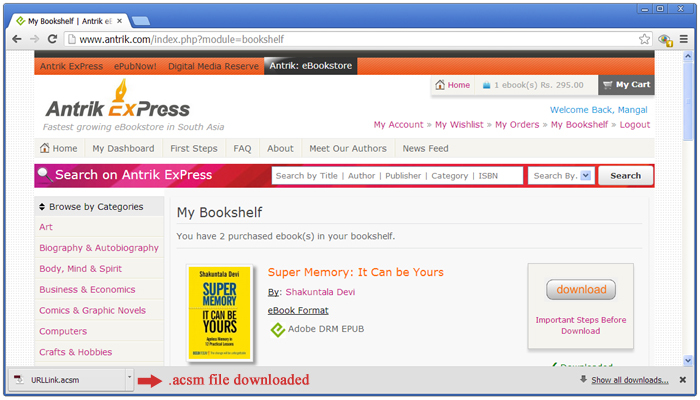 Click on Download button of your purchased ebooks available on My Bookshelf page. 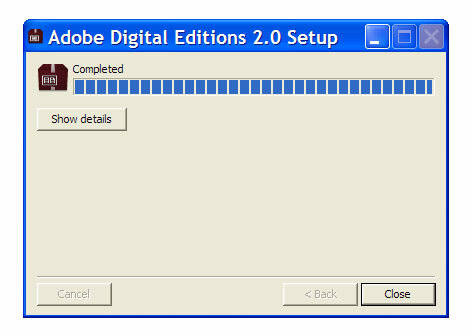 It will download .acsm file. 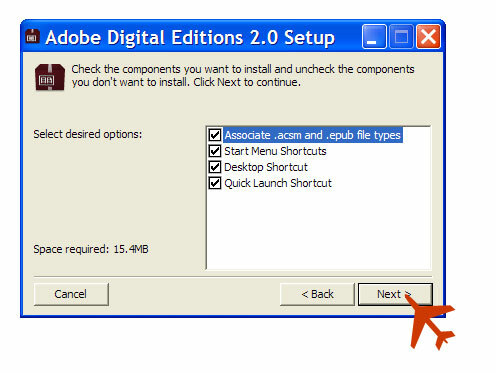 Double click on .acsm file it will start Adobe digital Edition automatically, if not manually open the Adobe Digital Edition and click on file->Add to library option and choose .acsm file from "Add item to library" dialog box. 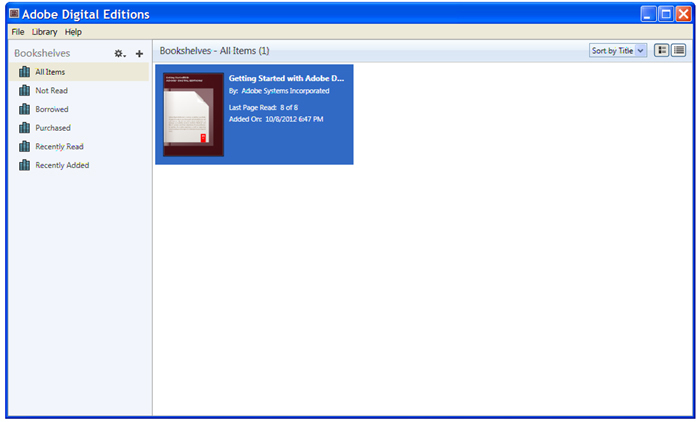 Download finished we can read the ebook now.